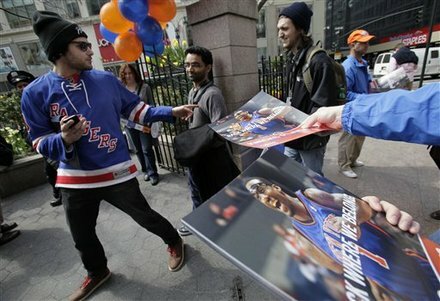 Welcome fellow Knick fans (Sup Ankush? Glad you’re still a fan!) 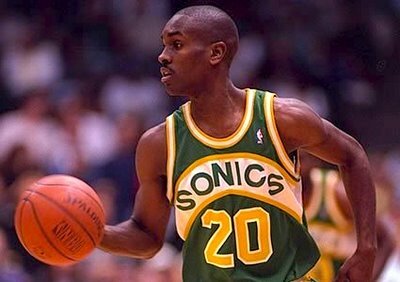 and the haters who love to hate (I’m looking at your Charles Barkely and C Webb)… it’s PLAYOFF TIME! And for the first time since the 2000-01 season, New York have a winning team to take to the post season. You don’t understand how long I have waited for this. But the revolution is what we were following this year, and if your remember back, the Knicks entered the season with little respect. No one thought Amar’e had it in him to lead, and the rest of the crew were scrubs. Well, Amar’e was the unofficial MVP for the first half of the season, we finished the season with the 3rd and 5th highest individual scorers in the league, the scrubs are now considered gold over in Denver and the Knicks look to be the most dangerous 1st round opponent in the East. To casual NBA fans or even stronger fans who have not paid close attention to the Knicks in recent years, March was HELL! At one point the Knicks had lost 9 of 10, including 6 straight. We traded away our successful team for a star player and bits, and all was falling apart. The Knicks played a season high 18 games in March, which just so happened to be the first full month since completing the Carmelo Anthony trade. With little time to rest, or practice, the Knicks were confused and clearly low in self-esteem. A lot of people seemed to enjoy this, and comments continued that the Knicks gave up too much for Melo. Amar’e was suddenly human (but really, think of what he has accomplished this season and he deserves to be tired. To show my respects I am dressing up as Ama’re for a dress up party this Saturday night!) and it looked like London Bridge was falling down. For me, I look at it differently. After all of the drama and ongoing off court saga from the past decade, March was not so bad. We came out of the month with STAT, Melo and Billups all on the court and ready to go for the playoffs. The past decade we usually came out of March with 2-3 guys out for the season, and the playing for a better lotto chance. We came out of March with bad defensive schemes, but we came out of every other month that past decade like that, just never with guys as talented on the other end as Stoudemire and Anthony. The trade hurt us up front, and Donnie Walsh and Mike D warned people of this. But the old new Knicks (you with me?) were only 2 games above .500 and were never consistent enough to go all the way. We’ve dropped to being 1 game below .500 at the end of March, but with a billion more chances of advancing in the playoffs than before. Our team was VERY reliant on STAT playing well, now it is not necessary. This is why the trade will pay dividends in the LONG run. This is why all of New York and Knick fans should look past March, and (finally) get to enjoy basketball past game #82. - 18 games in a month killed us in March. - Cleveland They are invincible against us. True redemption comes in April though. - Losing to Indiana, twice, with an unconscious Tyler Hansborough. Regga, regardless, no free agents of any importance are signing in Indiana, so come join the Blue N’ Orange! - Ronny Turiaf continues to be in and out of the line up due to injury niggles. - Having to be on the receiving end of a Robd text message after a Knicks-Detroit game, normally it is the other way around and has been for the past few years. Melo going 2-12 didn’t help. - People continue to call for Mike D’Antoni’s head. Shut uuuuuup. He has had 35 games with the team, give them some time. Any victory you are happy about is also contributed to MD, so just take it easy. - Drawing the Celtics for the playoffs! - Melo and Amar’e with their first 30/30 night against the Jazz, in which neither player entered the game in the 4th quarter. They currently rank as the 4th and 5th highest scorers in the league (just behind Durant, James and Wade). - Sheldon Williams and Anthony Carter teaming up for 3 consecutive successful plays against New Jersey. Who woulda thunk it? P.S Kris Humphries is the new David Lee, Most Improved Player for sure by my count. The dude is averaging 15/15 since the All-Star break! Pay attention peeps. - A 7 game winning streak to finish off the season (choosing to ignore the last 2 games of the season!) was a positive way to enter the post season, especially considering the 1-9 skid in March we endured. - Melo receiving back-to-back NBA Player of the Week awards, the FIRST Knick ever to do that. - Landry Fields completed his first full NBA season, and started 80 of 82 games, the most as a Knick rookie since Bill Cartwright back in the Jurassic Period! Toney Douglas – Used March as his own showcase month, putting up close to 15ppg and 5apg, whilst knocking down 3’s at 43% (36 bombs for the month). With TD finding his groove, our bench has a stronger chance of meaning something in the 1st Round. TD has hit the most 3pt field goals since the All-Star break, Gallo replacement much? Carmelo Anthony – With Stoudemire seemingly running out of gas, Melo has been a heaven sent second star and leader. After dropping 36 on the Boobcats, and then back-to-back 39pt efforts against Orlando and New Jersey, Melo became just the 3rd player in the league to post +35pts in 3 consecutive games this season (joining LeMarcus Aldridge and Monta Ellis). His touch from outside has also been a bonus, at 40% over his first 25 or so games as a Knick. Saaaawish! The guy who made this – Get Carmelo – I still can’t get it out of my head and it was made before the trade! Roger Mason Jrn – Finally received some burn after the Billups injury and the Melo trade, and has shown he still has the touch from outside. His veteran presence could come handy playoff time, as will his stalker who sits courtside each game wearing his jersey and fist pumping him as he enters games. Before the break RM was shooting an uncanny ZERO % from range, and since the break he has been knocking down the 3 at 40%, including at least one per outing. 4th quarters – For the middle of March, the Knicks simply couldn’t score in the 4th quarter, which is alarming considering how many times teams found themselves up by double digits in the 1st quarter that month. Defence – I like Jared Jeffries hustle, but we lack size, baaaadly. Chauncey Billups – Had some great games, but some real bad ones, need more consistency and care of the ball from our starting PG, hoping he steps it up now we are at the big dance. Landry Fields – Biz Z may have hit John Wall , but Landry hit the Rookie Wall. The Knicks take on the Boston Celtics in their first playoff games since 2003-04 when Marbury ‘led’ the Knicks to an 0-4 thrashing by the Nets. I was hoping for a Miami/NY first round match up, but this will do. The C’s size is their obvious strength, as is their playoff experience. Melo, Chauncey and Amar’e all bring considerable playoff experience along with themselves (remember the series Amar’e ripped it up against the Spurs? Just breath-taking), so the size is going to be their number one advantage. In order for the Knicks to win, they must hit around 15 threes, minimum. This opens things up so much more for the go-to-guys. The past 4 matches have been tighter than the 4-0 advantage the Celtics have shows, especially if you recall Amar’e dropping a three from downtown only split seconds late. Paul Pierce is a killer in MSG, but now we have Carmelo to fully counteract that. KG will bully his way through our team, but Amar’e is a solid match at the PF. It’s at the guard we are in trouble. I’m hoping Mike D puts Toney Douglas on Rondo for long stretches as his defence is Glove-like. He is pesky and quick and hard-nosed, also quickly gaining respect around the NBA. GP in da house baby! Aidan, Rod, Bec, you have no chance. In fact, you have as much chance of winning this series as the Gold Coast Suns do of knocking off Collingwood. At least in my view you do. I’m calling Knicks in 6. So get fired up for the Knicks as they look to continue their much anticipated comeback season, blowing away the dust and disgust of the past decade. P.S Even Ron-Ron is pumped for the new, New York Knicks!